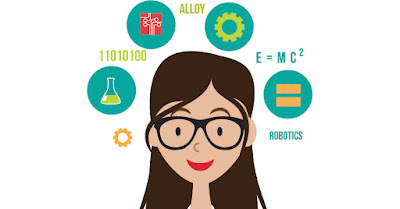 Make one-on-one connections with local female college students looking for a STEM career at IIR’s Women in STEM Summit, taking place October 22nd at Bentley University in MA. The event brings together students from leading colleges pursuing STEM coursework looking for companies like yours to find a career! Through our exclusive STEMexchange, companies have the opportunity to make short presentations about their corporate culture, D&I programs, open STEM positions and make a case for why they are a great place to work. Students attending are eager to meet with company employees, ask questions and share their thoughts on the ideal corporate environment. These exchanges are designed to help students evaluate career options and assist companies in identifying local emerging talents for mentoring, internship and recruitment programs. Register now to meet with college student looking for STEM careers, and contact Krista Lentini at klentini@iirusa.com to be a presenting company at the STEMexchange. PLUS! Engage with the motivators and influencers helping to change the future of STEM in the workplace while positioning your company as a leader in diversity in STEM. For sponsorship opportunities, contact Barbara Shapiro at BShapiro@iirusa.com or 646.895.7485. Is Working With Too Many Men Bad For Your Health? IBC Life Sciences’ CEO Debra Chipman recently sat down with Patty Hatter, VP and GM of Intel Security and Software IT & CIO of Intel Security Group, to discuss why it is important to broaden the diversity of the STEM workforce, among much more about women in STEM. Today, Patty is responsible for innovating and executing a sustainable transformation of Intel Security’s operational processes and infrastructure across the global organization. As CIO, Hatter is responsible for driving cross-functional partnerships to accelerate delivery of strategic business priorities that impact bottom line profitability. Focused on driving world-class operational effectiveness and scalability, Hatter leads all facets of Intel Security’s ongoing transactional business and shared services, as well as IT, risk and compliance, and M&A integration. Debra Chipman: Why is it important to your organization to broaden the diversity of the STEM workforce? Patty Hatter: Well, it gets exactly to what we were talking about that the technologies are moving so quickly, the demands are increasing so much that we need everybody rowing in this boat. Everybody from every ethnic community – male, female, any geography. It can’t just be one type of person. There are so many needs from a societal point of view, from a corporate point of view. We need to open it up to anyone who has the aptitude and interest to go into this because the demand --- it’s here already. To what we were just talking about, I feel it out here in Silicon Valley of there are so many opportunities and relatively few people given the growth and we could use all the new talent we could get out there right now. That’s just in one area of the country around the world. Debra: The follow-up question to that, which is a little bit off the script, is you mentioned interest and aptitude. Is it that a lot of people have the aptitude and there is something we could do to change the interest, maybe? Patty: You know, you could be really good at something, but if you don’t like it --- and this applies to STEM, sports, art, probably anything. (Laugh). You could be very good at something, but if you don’t find it interesting, you are not going to be able to pursue it or have the interest or the passion or the drive to pursue it as part of your career. There is so much good you could do every day and if you’re going to work and you don’t enjoy what you’re doing and you don’t feel a connection to that, I think you would go in a different direction. It’s how to get people excited about something that they can see themselves growing in that area early enough because what we were just talking about with kids and how the school systems work and everyone trying to get good grades. If you don’t feel like you can be good at something, you probably self-select out of something really quickly just in the education level, let alone in the workforce. Patty: It’s easier for females to self-select out than probably males and it just tends to make the problem linger year after year after year. Debra: That leads into the next question I have. 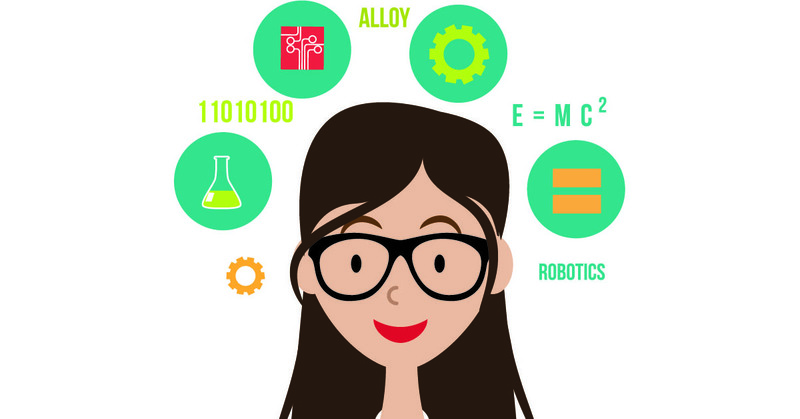 What do you see as the biggest obstacle to career advancement to women who work in STEM? How can you – or us as information providers – help them overcome these? A lot of women can be very task-oriented; drive from one thing to another and not look up and see the bigger picture and in a lot of cases not give themselves a break to say: “Hey, I’m very good at eight. Yeah, I don’t have those two, but I know I can learn that, so let me try. And here’s why I’m great at those other eight items.” It’s something we need to get past and talking about it is a way, I think, for females in STEM to acknowledge “Hey, I might have that tendency, too, so I need to compensate for it. I need to be conscious of that and not let myself fall into that trap.” If I had a dollar for every time I was speaking at a diversity event or a women’s event and I would hear women say: “I wasn’t quite right for that, so I didn’t even try”, I would have a million dollars. It comes up all the time and it’s seeing the glass half empty instead of half full. Debra: It’s something I often identify in people. I say: “You have to have blind ambition so that you don’t get caught in all the traps along the way. You’ll just get so bogged down that you’ll never get anywhere.” I know there are times when I look back in my career and I almost self-selected out. It’s “There for the grace of God go I.” So, I’m fortunate that I was able not to do that. Debra: You’re not going to end up dead, which would be the worst. So, forge ahead. Patty: Right. You have a strategy and you need to modify it. Well, that’s not terrifying. (Laugh). Debra: It’s not going to cost me too much to experience that. So, how do you think companies and individuals like yourself can maximize the impact of women who are currently in STEM jobs to continue to grow these numbers? Patty: Well, it’s interesting because I’ve been at a number of different companies and a lot of larger companies have female support networks and different diversity support networks across the organization so that I have to say I was never sure how much those were helping or how much people were leveraging them. But, it was interesting because we had started with McAfee a couple of years ago at a – we called it: “Wise Women in Security Affinity Group” – and I was curious --- it was a good thing to do, but how many people are going to come? How many females are going to get engaged? Is it really going to be meaningful work for their time to participate in these? So, for companies that don’t have that, I would encourage people to take the leadership in their organizations to get something started. And for companies that do have it, how can you change it up? How can you refresh it? How can you get more people engaged just so you can keep the freshness of thoughts going on? Debra: Those have been great ideas. I wonder how many companies actually end up doing that. I think it’s probably fewer than we think. Patty: I think it is. The large companies in most cases – large American-based companies, in most cases – have something like that. But that is relative to the total number of corporations. It is going to be a relatively small number. But, I would encourage even mid-sized companies because you could really see the impact and the participation and the engagement and the enthusiasm that it brought to the individuals. Also, how it made them feel about the company overall. “Hey, the company cares about me enough and some of the issues or questions or gnawing concerns I have to pull something like this together.” So, there was a positive benefit for the individual themselves, as well as the company overall. Debra: Along those lines, having those groups in place must help as you integrate incoming women or all college students into the company. Can you elaborate on your experience doing that and what you think is the best way to integrate them in? Patty: What to do with the college students. That’s a good millennial (question) overall. I would say the one thing that I would encourage organizations is not to leave them by themselves. They really seek an affinity group amongst themselves. Not just from a female point of view, but others of the same age. I’ve seen some examples where we’d love to have this to do over again where there was the idea of “Well, we’ll put this recent college grad in with all these very experienced, many-years-out-in-the-corporate-world folks and what a great learning they’ll have.” Meanwhile, the recent college grad is thinking “I have nothing in common with these people.” It doesn’t help build the bond between themselves and their co-workers and the recent college grad and the company. So, as you are integrating recent college grads in a large organization, I think you have to look at not just the male/female affinity groups and the connection there, but also an age dynamic. And that would vary a lot by company and the seniority and profile of people in the organization. But they really want to connect with others with like experiences and organizations seem to be pretty mindful of that if they have a very age-diverse population. Debra: I love the idea of the affinity groups. How can colleges – on the flipside – better prepare the students for jobs in STEM fields? Patty: The one thing that I’ve started to see is colleges getting more curriculums around how to bring multiple disciplines together. How do you relate to it? How do you form teams? How do those teams form solutions that actually execute on something? It’s great to have individual book knowledge in your particular topic. That’s great and that is one way to learn, but that’s not how things work in the working world. Nobody is giving you tests on one subject. You have a business problem or a technology problem that you’re trying to solve and you can probably better solve it with multiple skills, very diverse skills coming to the table. I think the more colleges are able to help students work through how to manage those dynamics and how to participate in those teams – because sometimes you’re a participant and other times you are more in a position of leading those teams – and helping people start to work through that process in school so they have more of a base to start from once they get out into the working world. I think that would be very important. I think it also helps the notion of “diversity is good”. Diversity of ideas, diversity of people is good because you are starting to experience that just from a subject matter expertise in schools that have that kind of curriculum that they are building. I think that gets people a little farther down the path of appreciating that diverse skill sets and diverse ideas and diverse individuals help the team, not hurt the team. Debra: I’ve seen some kids get very focused on just what they know to pass the test and they get into the work world and no one asks them what they know. (Laugh). Patty: Not just a calculus question. (Laugh). Debra: It can be quite frightening. Patty: It sounds so obvious in hindsight. Debra: Yeah, why should they have it any easier? Yeah. Patty: “This is the way I had to do it.” That many all-nighters, and that many tests, etc. 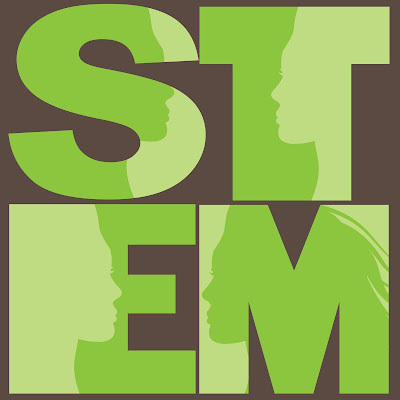 Debra: Or it would be great if there was a way --- one of the things we’re looking at is taking STEM and turning it into “STEAM” and adding “Art” because art overlies in a lot of STEM areas. You know, architecture, engineering. You have to have an art sense to create some of these things. But, it also plays into getting people outside of that “bookish” thing because art is experiential. It is something that you do to express yourself or create different things. It’s a good thing to overlay onto everyone. You mentioned the arts before. So, where do you see the state of STEM in five or even ten years from now? Patty: Well, I hope we are not seeing it as --- I hope we are not sitting here and seeing the same gap that we see now. I have to say, I find it very perplexing how there are fewer females in engineering school now than when I was in engineering school. I think back and there were not a lot of females in engineering when myself and my friends went through school, but I have to say my role model going to getting my undergrad and graduate degree in engineering was my dad. So, I just think my role model has to be a female. Although my mother – who was not an engineer – could have outdone myself and my dad combined. She was the brilliant engineer of the family and the only one without an engineering degree. I think we need to open up how we draw connections and how we relate people and how do folks consider themselves role models because I didn’t think it was weird that there weren’t other females that I saw that weren’t engineers because I saw my dad. Debra: “I’m male and I’m good at math, therefore I can be this.” Yeah. Patty: Get the feeling that it is open to anybody; anybody can do that because taking it back to my situation, that’s what I felt. So, it really didn’t bother me one way or another that I didn’t have female engineer --- females that I saw who were engineers when I went to engineering school because I still internalized with the role model who was my dad. It didn’t matter that he was a guy and I’m a girl. It’s just that he could do it, so I could do it. Debra: I know that when I was going to college --- and it was very different just applying to college back then. But, I don’t think there was this emphasis on “Oh, they take 45% female or 54% male.” This whole thing where everybody is categorized and put into a “You are likely to do this because of your aptitude or your testing or whatever”. It just makes it so much harder to get out of what it is you’ve been programmed to be. All the way through. Debra: They start programming you in grade 3 and you can’t break out of the barrier, even if you are really talented because they don’t let you. And then if companies are looking for the same, you are fighting two sides of a losing battle. Patty: Right. So, I think going forward – to your question – going forward is more the --- and maybe this seems weird, but it’s trying to be inclusive, too. Debra: I think you’re right what you said before. It’s not necessarily just women in STEM. It’s about women, it’s about minorities. It’s about anybody who is qualified – whether you fit the profile or not – because we are going to run out of people. Debra: If the “Guide 80” is right and if you look at the stats, I think some of the stats I’ve seen are that 59% of the college degrees go to women, but only 12% are in STEM. That’s frightening. Because that’s a losing battle that we’ll never come back from if we can’t switch that out. Thank you so much for your time. I appreciate it. It’s been fun sharing our thoughts across this issue. This My Story/My Advice post features Dharti Pancholi, Principal Process Engineer at NNE Pharmaplan. The My Story/My Advice project, brought to you by The Women in STEM Summit, which highlights women in STEM that are persisting in STEM fields and making a difference. It also gives their personal advice to the next generation of young women looking for encouragement to persist in STEM. I pursued Master's in Chemical Engineering with emphasis in Biotechnology. With my father being a Chief Medical Officer/Doctor and my mother being Masters in Math/Commerce, having good science and math foundation has been the focus from my very supportive family. As a child, I could never decide whether I wanted to go into medicine or engineering. Biotech emphasis in Chemical Engineering is great because I still uses math concepts in process engineering - design and calculations and work in biotech-pharma industries that I am helping make drugs/medicines to help human beings in the world. Working with several small/private as well as large/public companies and user side (product making) or service side (consulting/engineering service provider) companies, I discovered my passion lies in people management/mentoring, technical leadership, as well as business development aspects. I remember the time in 1996-1998 when there were not many women engineers on operational plant, and now the opportunities are endless choosing STEM career path. As mentioned in several books, female and male minds work differently and differences are not yet fully understood! Women are often more cooperative or flexible to give up their needs for others, or unlike men, they put more emphasis on understanding/questioning, mutuality, empathy etc., which sometimes makes others take advantage of them. Nevertheless, fewer women held executive positions in corporate world, but they are more effective at the mid-level management positions, or often they end up starting their own company to avoid political conflicts with differences in leadership styles, values, and preference. I personally think that embracing the differences between men and women and understanding diversity can make an even stronger team, filling in for each other's gaps. My advice is that female leaders must be role models themselves to encourage others, particularly women, and develop their interest in STEM. This My Story/My Advice post features Linda Graf, retired Engineer and Scientist at Pfizer. The My Story/My Advice project, brought to you by The Women in STEM Summit, which highlights women in STEM that are persisting in STEM fields and making a difference. It also gives their personal advice to the next generation of young women looking for encouragement to persist in STEM. I am a retired engineer and scientist. I worked over 41 years in the field, because I loved it and thought it was fun. I started out as a premed student but when that failed I went into chemistry and never looked back. From there, my fun led me to chemical engineering and then into management. I always wanted to write a book about what woman in the field were subjected to, including me, and how I was able to combat the remarks and isolation to retire happily. My book just got published and is titled "To Caroline- Love, Auntie". It is the story of a little girl named Caroline whose career options are unlimited because of the women who fought for the right to work in the male-predominant fields of science and engineering. Don't ever let anyone discourage you from what you want to do. You will be great at whatever you choose if it comes from the heart.